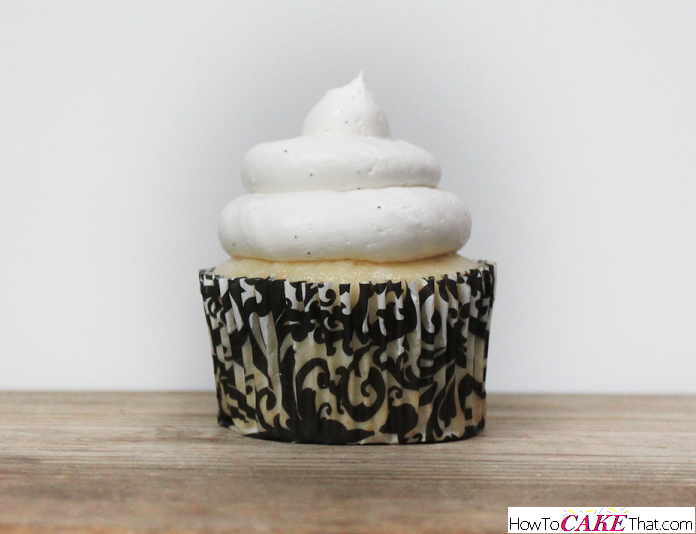 For those of you who tried and loved the Very Vanilla American buttercream, I've created a vanilla bean version based on the same recipe. It still has that sweet American buttercream flavor with just the slightest touch of saltiness, and is still made with the International Delight French Vanilla coffee creamer! I hope you enjoy! 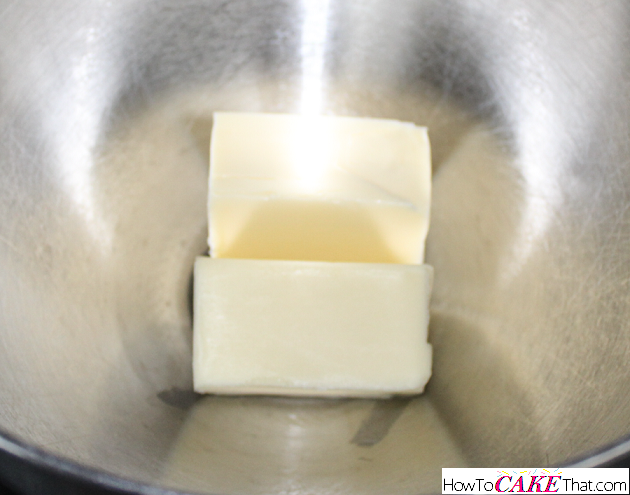 To begin this recipe, place 1/2 stick (2 ounces) of salted butter, and 1/2 stick (2 ounces) of unsalted butter into the bowl of a stand mixer. ​Note: Be sure to use high ratio shortening and not Crisco. Crisco may leave an undesirable filmy aftertaste. 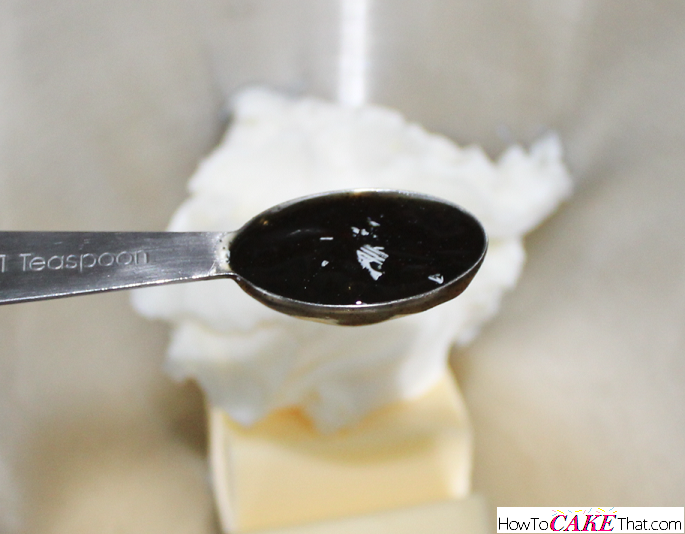 Add 1 teaspoon of Natural Madagascar Bourbon Vanilla Bean Paste. Plus 1/4 teaspoon of pure vanilla extract. ​Note: This vanilla bean paste comes in a 4 ounce jar and is made by LorAnn Oils and can be found at Michaels Craft Stores or most cake supply stores. 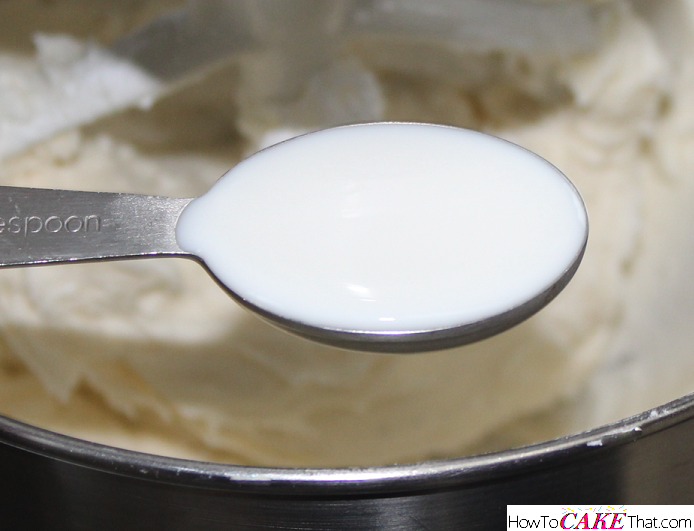 Better quality vanilla bean pastes may be more potent, so if using a different brand add a little at a time to taste. Blend ingredients together on low or medium-low speed using a paddle attachment until well blended. 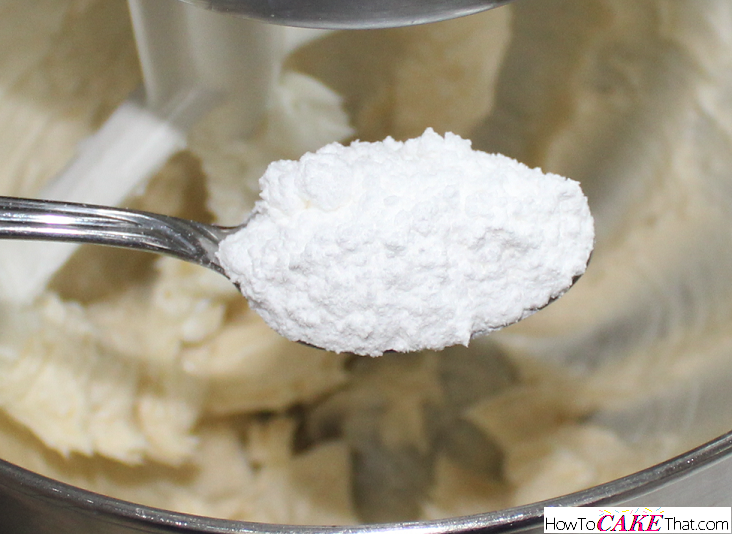 Next, add 11 ounces of powdered sugar, a little at a time, mixing after each addition. 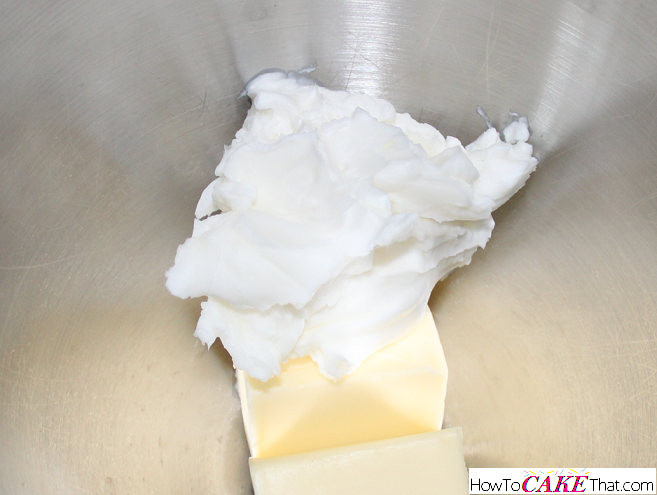 Add 2 tablespoons of International Delight French Vanilla liquid coffee creamer to the bowl. ​Note: use the regular full fat, full sugar International Delight coffee creamer located in the refrigerated section of your local grocery store. 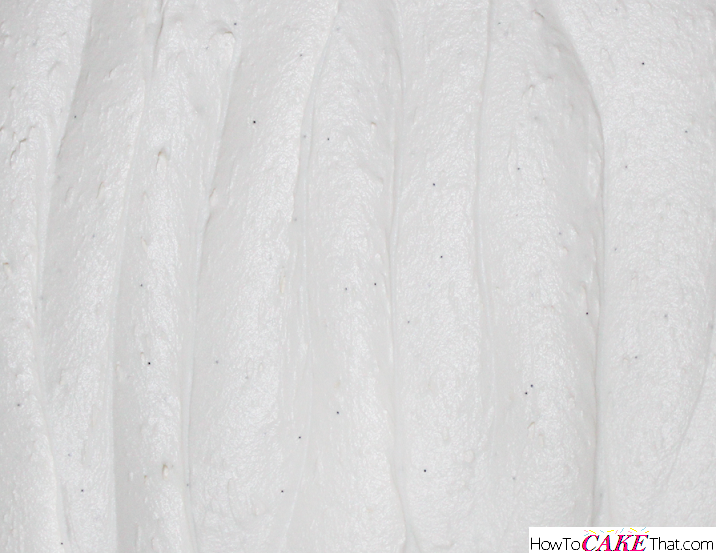 Using the paddle attachment, whip ingredients on high speed for 5 minutes, until light and fluffy. 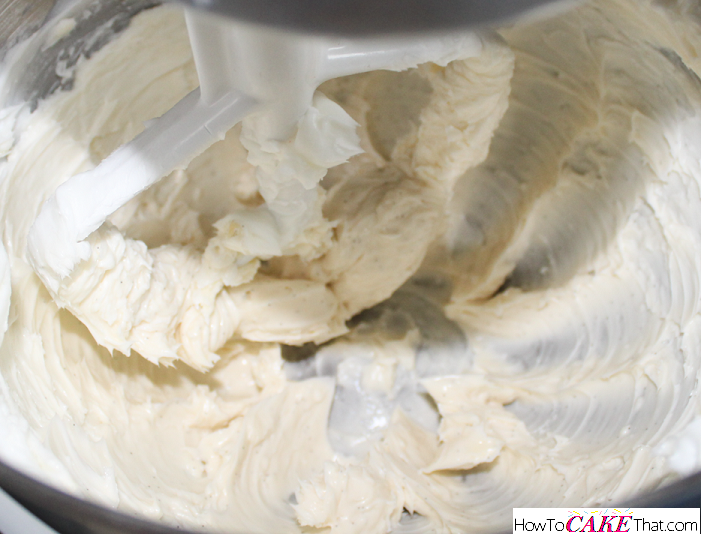 And that's how you make this delicious vanilla bean American buttercream! I hope you have enjoyed this tutorial! God bless! !